How did Britain and the Thirteen Colonies come to the point of no return, leading to the start of the American Revolutionary War? In this episode we see what happened on the fateful day of April 19 1775 and understand how one single shot became so very important. 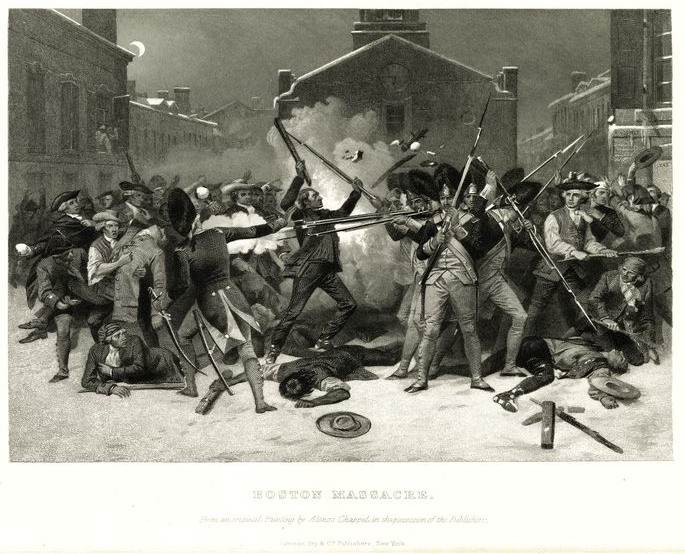 We will also see what took place over the course of 1775 and a very famous declaration that took place in 1776, as well as the Battle of Bunker Hill, fighting in Canada, and the Battle of Long Island. In short, we see how the war really broke out. World War One Special – The new issue of History is Now Magazine! The new issue of History is Now magazine is out now. It was 100 years ago, in the summer of 1914, when declarations of war were made in the most destructive war that the world had ever known. This war was of course World War One. It was not known in August 1914 that fighting would go on for over four more years and claim millions of lives. Many expected that the war would be over by Christmas, but they were ever so wrong. This issue of the magazine is a Great War special, with a particular focus on personal and original stories. After all, most of us are surely familiar with the political and military history of this war. We start with a tale that began with a photograph of a soldier and how one historian then traced back her roots. She shares a fascinating story of a band of troops in World War One with us. Then we go further afield to the most powerful woman in the British Empire during the war years, Gertrude Bell. She played an immensely important role in the Middle East in the period. We follow this up with a short article about the roles that the closely linked European royal families of the time may have played in fomenting World War One. It is a quite original viewpoint. This issue is not just about the Great War though. There is an article on Franklin D. Roosevelt’s famed fireside chats and how they helped rouse the US out of the Great Depression and on to victory in World War Two. On a different note, we take a look at segregation in the US and how events turned violent in one particular town following a decision to desegregate schools in 1970. Then it is back to World War One. We have a podcast on a president who fought in the war, Harry S. Truman, although he was to play a more important role in events some thirty years later. We also consider the motivations that different people had in joining the war as part of an article by an author of a book on the conflict. Finally, we share an original and fascinating exhibition that is taking shape. The exhibition will commemorate the 1916 Battle of the Somme through the letters of one particular soldier. With all of that, I’m sure that you will enjoy this month’s History is Now magazine. In the northern reaches of our world, summer is well under way. So what better way to enjoy it than to read a bumper edition of your favorite history magazine, History is Now? 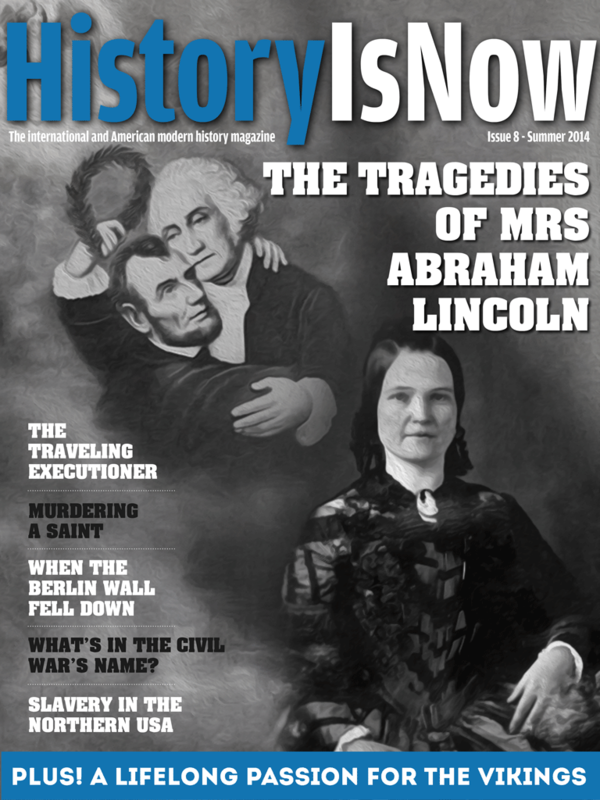 The new issue features a wide range of articles, including the tragic story of Mary Todd, the wife of Abraham Lincoln. To find out more, take up a free trial of the magazine for up to 2 months and download your free copy of our interactive digital magazine for iPad, iPhone and Android today! It has arrived! Summer is here and to celebrate we have a bumper issue for you that features a wide variety of amazing events and topics in history. Perfect while you’re on the beach. We start with a fascinating look at the life of Mary Todd, Abraham Lincoln’s wife. She suffered great loss and in many ways her life was like a Greek Tragedy. We’re then going to keep the magazine’s international focus and look at a very personal memoir from somebody who visited Berlin in the days after the Berlin Wall fell down in 1989. The article features a history of the Berlin Wall too. After that, we have the tale of the travelling executioner. Sound odd? Well it is an intriguing tale of how the state of Mississippi executed people in the 1940s and 1950s, with an even more intriguing executioner. The focus then remains on American history with an article about the death of Mormon Saint Joseph Smith in 1844, followed by a look at the history of the naming of the US Civil War. There were a variety of debates until very recently around the name for the conflict that this article considers. The Civil War plays a part in the article after that too as we take a rather unique look at slavery in the Northern states of America. Moving on, we arrive to a conflict between Pancho Villa of Mexico and the American Army, specifically General Pershing’s Punitive Expedition of 1916. To complement that piece, we include a podcast on World War II hero Dwight D. Eisenhower. The penultimate article considers how European and American fur-traders interacted with third gender Indigenous people in the Pacific Northwest region. This well-researched article is certainly thought provoking. And finally, in our photo-essay, we take a personal look at how the Vikings have influenced a modern-day woodcarver. Ronald Reagan is well known for being an arch anti-communist. Indeed, many consider his administration to be the most anti-communist of all Cold War American governments. In the new issue of History is Now Magazine we look at relations between Reagan and a regime that was also strongly anti-communist – but, in a fascinating twist, one that Reagan’s administration opposed. We start with an article on Ronald Reagan and right-wing Chilean Dictator Augusto Pinochet. It is often thought that Ronald Reagan, an arch anti-communist, would support any leader who opposed communism. But, as this article shows, Reagan did at times value other ideals above that of opposing communism. Secondly, we take a look at the topic of crime and insanity in Victorian Britain. An author of a recently published book about a dark crime in 1850s London tells us about how attitudes towards criminal insanity changed – or didn’t change – in conservative nineteenth century Britain. Thirdly, there is a piece on slavery in America. The article considers slave rebellions and Southern slaveholder paranoia, as well as how songs and poetry were important in the struggle for slaves to be freed – and in the postbellum years. In what can only be described as our most varied issue yet, we then look at the story of Shap ’ng Tsai, a Chinese pirate who sailed on the high seas in the years after the British defeated China in the First Opium War. Following that is a piece on the Mississippi Bubble. Last month we set the scene for the Bubble, and this month we tell the dramatic story of how fortunes were made, before the whole of France came crashing back to earth with an all mighty thump. Finally, we’re going outside of our usual period of focus by taking a look at the history of castles in Scotland – and how changes in castle design evolved in to the modern age. And as ever, we have included videos and a podcast in the magazine. This month’s podcast is on the Spanish Civil War. All that is left to say is that I hope you enjoy reading our digital magazine. Click here for more information and to take up a free trial! You will in fact get access to the magazine for 31 days, which will mean that you get two issues for free if you take up our offer today. We have a special issue that has a focus on empire. More specifically, we’re going to be looking at a range of views and stories on empires. And unfortunately for those who think that empire was good for the world, the views expressed are often less than positive. We have an article on the British in India in which the intriguing customs that sprung up in British India are considered. The article also looks at the importance of women in British rule, as well as the often racist views that underpinned the system. Following, we have another article by somebody who had less than flattering views on empire – famed writer George Orwell. He spent time working in British Burma and grew to loathe empire. Then we have a piece on the remnants of American Empire and how a colonial legacy has left one island in limbo. Finally on empire, we have an article by somebody who did like empire. We explore the Ashanti Wars and the views of George Clarke Musgrave, a journalist who accompanied the British military to West Africa. There he came face-to-face with a brutal king and saw his beloved Britain regain control of a troublesome region. But there is more inside the magazine! Empires define the world we live in. And they still touch many aspects of our lives from wars people we know are involved in to which television programs we watch. So the new issue of History is Now magazine is an Empire special in which across a number of articles we look at various aspects of empires past and present. 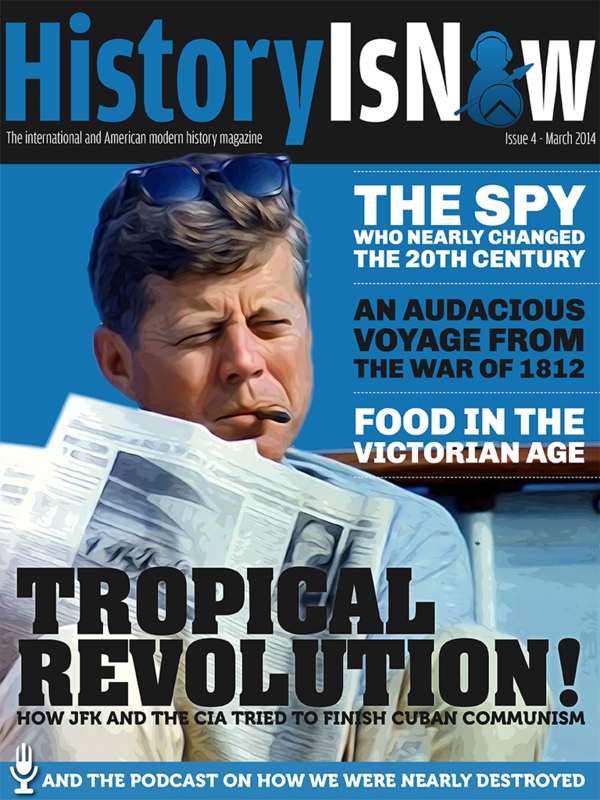 And coming within the next week – History is Now magazine for Android! But there is more. We also look at the story of one of the greatest economic bubbles in history. This tale involves Mississippi, France, and an outlandish Scotsman. Then we take a look at the stories behind some beautiful maps from the American Revolutionary War and the American Civil War. And to finish, we’ll also be starting an occasional feature in which we bring you some of the best articles from our blog. This month we shall be sharing an article on a bizarre World War I invention with you. Were the 1920s German paramilitaries known as the Freikorps Nazis, saboteurs or liberators? Our cover story in the latest edition of History is Now magazine considers the fascinating tale of the Freikorps in the years after World War I and how they went on to influence the Nazis. To find out more, take up a free trial of the magazine for up to 2 months and download your copy of our interactive digital magazine for the iPad and iPhone today! Members of the Hitler Youth (Hitler Jugend) in 1933. Those in the photo were too young to have been in the Freikorps in the years immediately after World War I, but the Hitler Youth organization was influenced by the Freikorps. Three months since the launch of History is Now magazine, issue 3 is here for you! We’ve been working to refine the layout and content of the magazine over November and December and hope that you like the finished product. This month’s cover story is on the Freikorps, the German paramilitaries that appeared following the end of World War I. They played an important role in the aftermath of the war, and would later influence the Nazis. Then we’ve got our podcast on the Korean War for you, and this month we’re doing things differently. To go alongside the podcast, we have an article on the little-known role of French troops in the Korean War. And we also go way back into East Asian history. As you may well know, we try to keep our magazine concentrated on topics from the 18th century onwards, but Alex Hawkins produced a fascinating article on the late 16th century Imjin War for us. The war was one of the great wars of its age, and one in which Korea was pivotal. We shall also be looking at the life of James Forten, an African-American who succeeded against all odds in an age of prejudice. He fought against the British in the American Revolutionary War and was involved in the abolitionist movement. We’ve also got an article on the first and last Queen of Hawaii, a tale that is both sad and inspiring. Our other major piece this month is a very original and very opinionated piece on the 1830s Texas Revolution – among other topics. Let us know what you think of it!